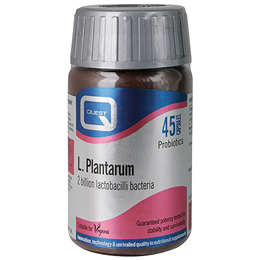 Quest L. Plantarum provides 2 billion lactobacillus plantarum bacteria per vegicap, lyophilised and encapsulated with guaranteed potency until the end of shelf life. Allergen guidance: Lactobacilli Probiotics are grown on a non-gm soy culture medium. *Grown using a non-GM soy culture medium. Maltodextrin, Capsule Shell (hypromellose, Water), Lactobacillus plantarum*, Magnesium Stearate, Ascorbic Acid. Take one to two vegicaps daily with food. To best protect the activity and control the effect of gut acid on these "Friendly" bacteria, take with or after food and swallow with water. 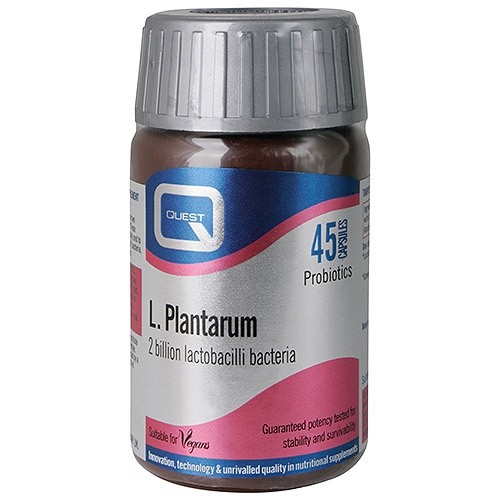 Below are reviews of L Plantarum - Probiotic Bacteria - 45 Vegicaps by bodykind customers. If you have tried this product we'd love to hear what you think so please leave a review. Just what I was looking for. Product arrived promptly.